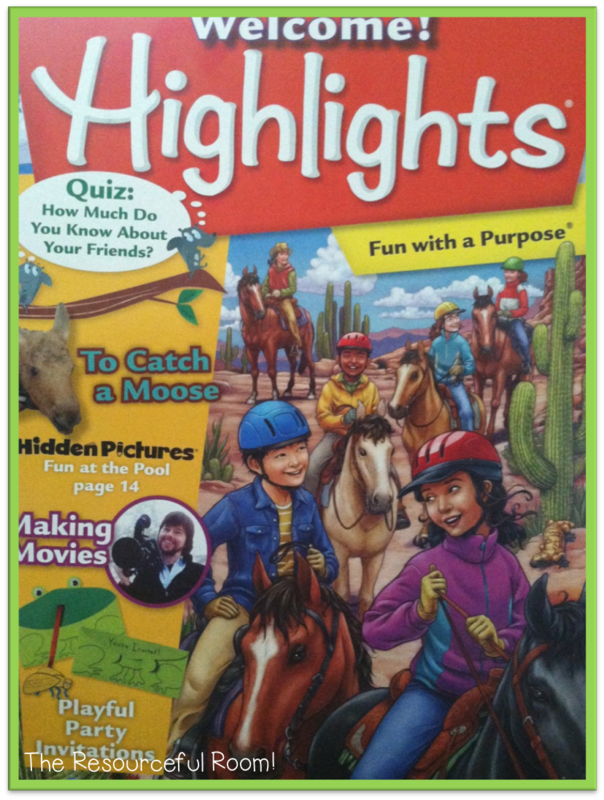 Highlights Magazine, a Great Classroom Resource! - The Resourceful Room! I am always looking for great reading materials for my students. I have tons of books and I"m always adding new ones to the classroom library. I also like giving them different types of materials, newspapers, magazines, poetry collections, song lyrics, blogs - we read it all. One great resource I've found my kids love is Highlights magazine. 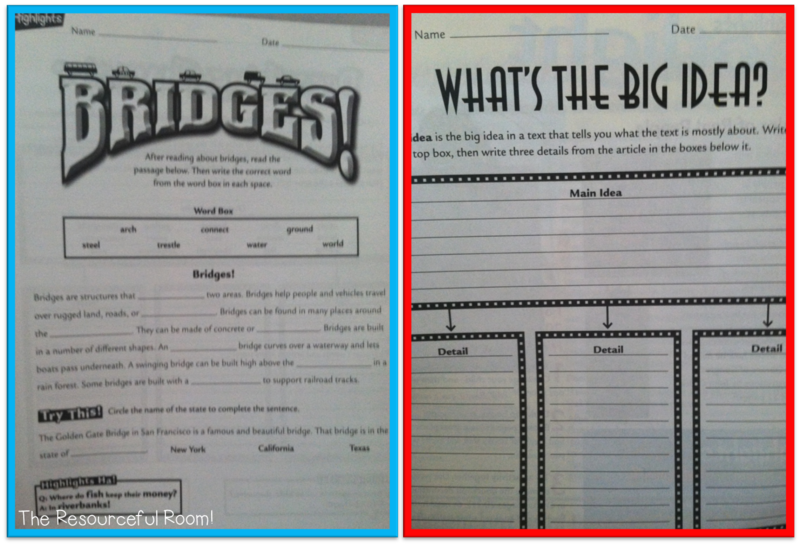 They are fun and have great material that supports what we are already learning in the classroom. My students always ask for them and get so excited when a new issue comes in. The magazines feature fiction stories, nonfiction articles, skill-building puzzles, critical thinking activities, science projects, and more. Makes it easy to find something everyone will love! This year Highlights has added a new feature. Each month you get an 8 page teacher's guide that includes lesson plans for whole and small group, as well as interdependent reading ideas, and reproducible activities. You can also access additional resources online.at Highlights.com were you can download free printables and check out different magazines for all age levels. Right now Highlights is offering teachers exclusive pricing on 9-month subscriptions of their entire class - just $9.95 per student with a minimum of 10 subscriptions! That's more than 75% off the cover price! To get all the detail, or order your classroom subscription now head on over to Highlights Classroom Magazines and take a closer look! I know you and your students will love these!